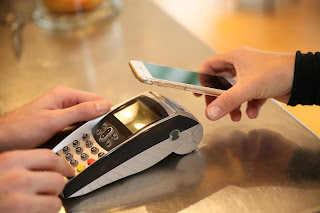 JP Morgan Chase is set to launch its very own smartphone payment method, according to a recent statement from the company. This move will put JP Morgan Chase in direct competition with rival services from big name companies like Apple, Google, and Samsung. Known as Chase Pay, this payment method will be based on CurrentC, which is a retailer-led mobile payment system. What's interesting is that the tech minds of the world have largely dismissed CurrentC for its reliance on barcodes as opposed to NFC (near-field communications) technology, which is seen as more sophisticated and which is also the technology that Apple, Google, and Samsung have all adopted. The app displays a barcode on the customer's smartphone screen that the retailer then scans in order to complete the payment. In addition to that, there is also a version that works online. Sure the barcode method may not be super fancy and cool like the tap payment NFC system though it does mean that Chase Pay will be more compatible with a far larger number of smartphones. Users that have phones that are incompatible with other payment systems could discover that their phones work with Chase Pay just fine. The Chase Pay platform will debut to Chase Bank's credit, debit, and pre-paid card account holders, which now number 94 million, and will also tie into any of their retailer loyalty cards. This pairing is really good for CurrentC as Chase is one of the largest bank and card issuers in the country. This will also ensure that CurrentC will see a huge boost in the market while also ensuring that Chase Pay is accepted at a large number of major retailers. CurrentC is currently being developed by Merchant Customer Exchange (MCX), which is a consortium of some of the largest retailers in the United States, including Wal-Mart, Target, Shell, Exxon, CVS, Dunkin Donuts, and Sears. One of the major driving forces behind this development was the desire of retailers to prevent companies like Apple and Google from gaining a look at their businesses and the purchases of their customers. In addition to that, CurrentC also doesn't impose transaction fees. CurrentC has yet to officially launch, which means that Chase Pay will be unable to launch until CurrentC does. Trials of the technology are currently taking place though that doesn't really offer a solid time frame on when this technology will get in the hands of consumers. The only date we have to go off of is one that JP Morgan Chase announced, which was mid-2016. Is An Apple-HTC Lawsuit Battle Headed Our Way? I feel like it has been far too long since a major smartphone manufacturer accused another one of stealing or cheating. Thankfully, HTC has given me my fix on smartphone finger pointing. According to Want China Times President of HTC North Asia Jack Tong reacted to suggestions in a lot of reviews that his company's new HTC One A9 bears remarkable similarity to the iPhone 6. In fact, there have actually been reviews on the HTC One A9 calling it an iPhone clone. Apparently these reviews hurt Tong's feelings as he was quoted saying, "We're not copying. We made a unibody metal-clad phone in 2013." Well, there you have it. HTC made one in 2013 so Apple must be the one copying, right? "It's Apple that copies us in terms of the antenna design on the back," Tong added. These types of copying battles have been going on for years, the most famous of which was when Apple and Samsung went back and forth in a court accusing the other. Apple was doing rather well, but the whole thing is still going on. So does this mean that another legal battle will be popping up? Will Apple sue HTC or will HTC sue Apple? Neither company has commented on anything yet, though. Apple and HTC both agreed on a 10-year licensing deal nearly three years ago and both companies decided to stop all patent litigation. However, lawyers can find reasons to break deals if things like emotions or money get in the way. HTC has made some pretty nice looking smartphones for some time though the marketing that goes along with these phones has been particularly terrible. Sure they have ads that star big-name Hollywood celebrities like Gary Oldman and Robert Downey Jr. though neither of those ads are memorable or captivating. Which is probably why you are just as shocked as I am to hear that both Gary Oldman and Robert Downey Jr. have been in HTC smartphone commercials. With the recent slew of smartphones that was released, one thing has become evident. They are all pretty much the same in both look and functionality. I mean the only device that offers anything remotely different is the Galaxy S6 Edge+. 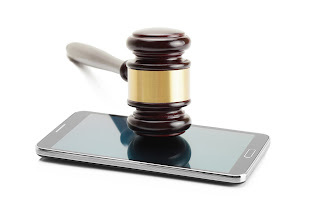 It is still unclear how this whole process will turn out, though if it is anything like the Apple vs. Samsung case, at least it will be entertaining! When it comes to the mobile smartphone business, manufacturers are trying everything they can to outdo their competition. One of the big things that manufacturers try to push to consumers is storage space. For people who use their phones a lot and use a lot of applications and things, storage is a critical issue. There is nothing more upsetting than having to go through your phone and pick and choose what you want to keep and what you need to get rid of, especially if pretty much everything in your phone is essential or valuable to you. Right now there's a pretty standard model for phone storage capacities. The old model used to be 16GB, 32GB, and 64GB. Recent phones have upgraded this to 32GB, 64GB, and 128GB. However, these phones tended to take away the option for users to add external storage, like MicroSD cards, which didn't go over too well with consumers. But it seems like the people over at Asus are aiming to make any concerns about smartphone storage a thing of the past. CEO of Asus Jerry Shen recently announced the pricing and availability of the ZenFone 2, the ZenFone 2 Deluxe, the ZenFone 2 Laser and the ZenFonr Selfie for users in Brazil. The announcements came by way of the famous Ibirapuera Auditorium in São Paulo, which was designed by world-famous architect Oscar Niemeyer. 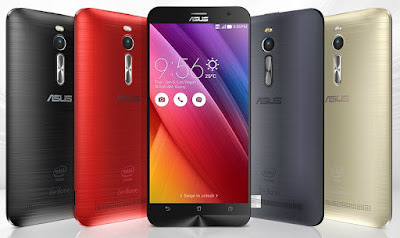 In addition to that, Shen also announced the upcoming ZenFone 2 Deluxe Special Edition model. According to Shen, "We are very excited to bring our latest ZenFone models to the Latin American market. They offer Latin American consumers empowering luxury with perfectly-balanced beauty, functionality, and performance, together with a premium user experience that can be tailored to the individual needs of mobile users." But what does all of that have to do with storage space? Well, that's where the Zenfone 2 Deluxe Special Edition comes into play. This smartphone is a brand new addition to the successful ZenFone lineup and comes with 4GB of RAM and a staggering 256GB of internal storage. You read that right, 256GB of storage. Mind you that's 256GB of internal storage, which means this is what you get when you get the phone. This phone is nearly identical to the high-end version of the original ZenFone 2 but with a faster Atom Z3580 processor. In addition to that, this phone also comes with a MicroSD slot, meaning that this phone can top out at an incredible 384GB of storage. The phone will be available in 2 colors, one with a diamond-pattern back and the other with black and gray diagonal stripes. Both will have an orange trim around the front screen and navigation panel, as well as around the volume buttons on the rear. The unfortunate thing is that this phone has only been announced for distribution in Brazil and will most likely be made by the local manufacturing branch of Foxconn specifically for that market. While there have yet to be any indications of a wider release market, I think it is safe to say that Asus is probably going to take a good look at how well the phone does in Brazil and then make a decision on whether or not to expand production. Regardless, the fact that a phone with the potential for 384GB of storage even exists is fantastic. Hopefully, more smartphone manufacturers take a cue from Asus and start offering bigger storage capacities on their phones (or, at the very least, they stop removing the option for external storage!). If you have a Samsung Galaxy, then you should be excited for what is coming out later on this year. 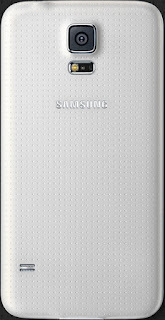 SamMobile has leaked out details for the new Samsung release, the 5.1-inch Galaxy S5 Neo. The Galaxy S5 Neo will offer a lot of the same qualities as last years smartphone. It will have a 16-megapixel rear camera, 16GB of internal storage, 2GB RAM and a 2,800mAh battery. In addition to that, it is also said to be the same size and weight of the original model. Looking for a Quote on a Smartphone Rental for your business event? Rentacomputer offers the latest smartphone rentals on the market in addition to other mobile devices, like the Apple Watch and Two-Way Radios! If you're wondering what the difference with the Neo is, there isn't much of one. The S5's Qualcomm processor is now a 1.6GHz 64-bit octa-core Exynos chipset from Samsung. Also it's said that the S5 Neo's front facing camera is now 5-megapixels instead of 2, meaning that the quality of the photos are very close to that of the Galaxy S6 and Galaxy S6 Edge. The Galaxy S5 could also offer support for LTE-A connectivity, which isn't found in the original model. This will allow your data connections four times the speed of the traditional 4G LTE. So if you're looking for a new Samsung Galaxy, be patient for the S5 Neo to come out later on this year. It may be sold in single-SIM and dual-SIM versions and could also come to China, India and Russia. Chrome, Google's internet browser, was originally designed to stay out of your way and be a minimal browser, but now it's an entire application platform. Chrome manages to burn through a lot of battery life, especially on Macs. Also, if you have a PC with low amounts of RAM, Chrome seems to take up a lot of memory. Even after you close it, Chrome still continues to run in the background. It continues to take your battery life and a lot of your memory, so when you really want to close Chrome fully, you have to right click the Chrome icon and select Exit Chrome. If you installed Chrome apps that continuously need to run in the background, you may just want to disable it. 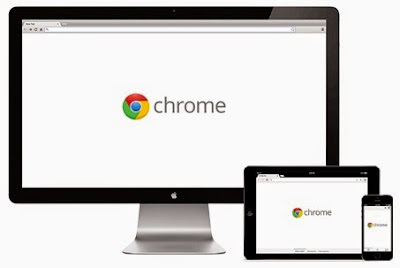 All you need to do is right click the icon for Chrome system and uncheck "Let Google Chrome run in the background." This will shut down Chrome altogether when you close your Chrome browser windows. If you haven't noticed by now, browser extensions will completely slow down your browser, they take up more of your memory, and drain you system resources. If you are using Chrome, you can what the browser extensions are doing to your system by clicking the menu icon, going to More tools, and clicking Task Manager. The items that appear that begin with "Extension:" are the browser extensions that Chrome is running. Uninstalling an extension that's lets say using over 100 MB of RAM, that's draining your battery power dramatically, and if you don't really need it could help drastically. Every browser extension doesn't show up in this list, however. Some of them don't run as their own processes and some include scripts that run when you are loading web pages that provide their features. Running these other scripts will take more CPU and help drain more of your battery so make sure you are uninstalling these extensions that seem to be taking up resources in the task manager. You may see a "Background Page" if you check your Chrome Task Manager. It's different than an extension or app and they consume memory and CPU resources. For example the Google Drive background page appears when you enable offline access to your documents in Google Drive. It causes a background page to continue running even if you close all your Google Drive tabs. This background process syncs your offline cache with Google Drive. If you don't really use the offline documents feature, then you could go to the Google Drive website, go into the Settings screen, and be sure to uncheck the Offline option. You won't have to deal with a background page, but you won't have offline access to your Google Drive documents. 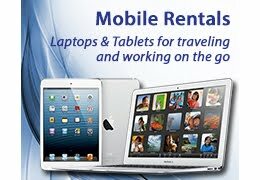 Looking for a Quote on a Tablet Rental for Your Next Business Event? 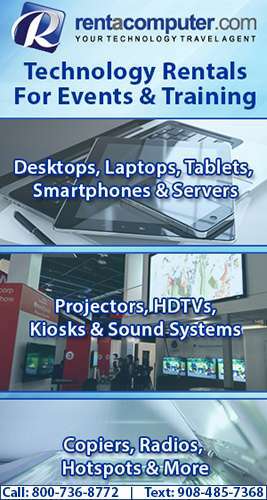 Rentacomputer delivers Tablet Rentals nationwide to any convention center, conference center, hotel or event! Another thing to be sure to do, in Chrome, to help save some of your battery is to enable click-to-play plug-ins. All you have to do is open Chrome's Settings page, click "Show Advanced Settings," then click "Content Settings," and finally under Plug-ins click "Let me choose when to run plugin content." It will keep Adobe Flash and other plug-ins from running in the background, because a lot of Flash advertisements popping up will help destroy your battery. By enabling click-to-play plug-ins, it will only allow specific Flash content to run, as well as doing the same with other plug-ins. Saving memory can become a bit of an issue and running multiple tabs at once can take a lot of that memory. If you want to save memory and some battery power then try not to have a bunch of tabs opened. This can have too many web pages running in the background and use CPU resources, as well as taking up your memory and battery life. Just bookmark or save some web pages in a read-it-later service like Pocket, to prevent some of those pages from constantly running. Chrome can be a bit of a hassle with all of its browser extensions and features. You could always try running a different browser like the Safari browser. It's way better on your battery life when using Macs. If you're using Windows on a PC with a low amount of RAM, then running Mozilla's Firefox will help take up less of your memory. Also using Internet Explorer on Windows will help your battery last longer. If you're just using a modern PC, then using up a lot of memory shouldn't be an issue if you have enough of it. The major issue of running Chrome is how it effects your battery life. Just be sure to uninstall those unnecessary browser extensions and close those tabs you don't NEED open and you should be just fine. The Apple Watch could be a great product for you....unless you have tattoos, that is. Apple is officially warning people who have tattoos that their Apple Watch might be having trouble getting reliable heart rate readings due to your ink. The company recently updated its Apple Watch support documents to note potential problems for some people with tattoos after people started complaining about it online. According to the new document, "Permanent or temporary changes to your skin, such as some tattoos, can also impact heart rate sensor performance. The ink, pattern and saturation of some tattoos can block light from the sensor, making it difficult to get reliable readings." When people are going through their workout the heart monitor on the Apple Watch uses a method known as photoplethysmography (PPG). This method shines a green light onto the skin and looks for the change in absorption that comes with each pulse. 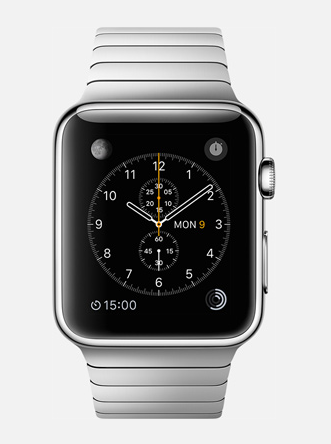 During regular activity the watch measures infrared light reflection. This is supposed to use less power than the green LEDs but if a wrist has too much heavy ink on it then the watch would have trouble shining a light through it. The good news is that not all tattoos will cause a problem. iMore has tested several tattoos and discovered that solid red and black ink caused the biggest issues, causing extremely inaccurate readings and/or complete failures. Lighter colored ink only produced slight inaccuracies and it was also noted that patterned or variegated ink didn't seem to cause any problems at all. This is important because fitness tracking is one of the main features of the Apple Watch. In addition to that, a recent report from Consumer Reports noted that the heart rate monitor is just as accurate as the group's highest-rated chest-worn monitor. Sure there are a ton of other reasons to buy the Apple Watch but just know that if you have tattoos you could experience some technical difficulties. Interested in an Apple MacBook Air Rental for your next business trip? Rentacomputer.com's Tech Travel Agent is your single point of contact! Google has been putting their OS on a lot more devices lately, like the Asus Chromebook Flip and the Asus Chromebit. This spring, the Chromebook Flip comes out with a touch screen that rotates 360 degrees. The Chromebit comes out this summer, and it will let you use the Chrome OS on your HDTVs. The Asus Chromebook will have a price tag of $249, and looks a lot like one of the Yoga notebooks. 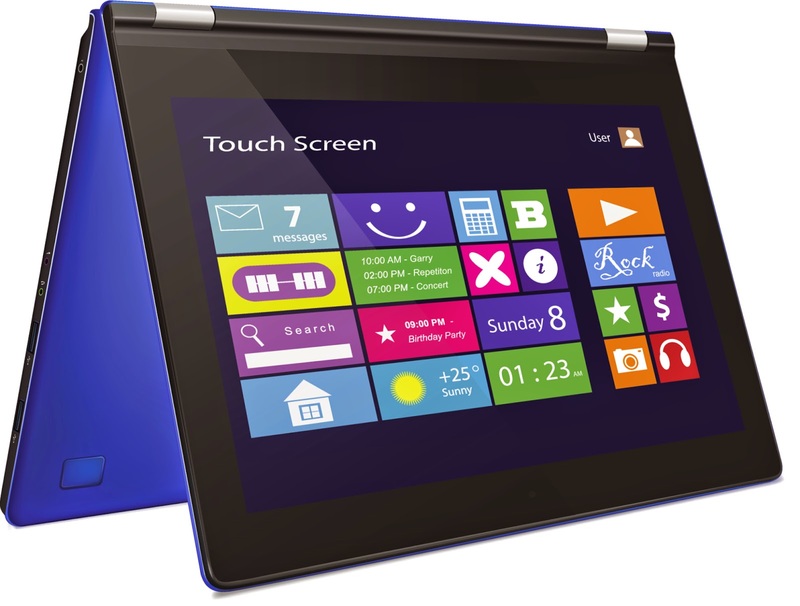 It has a 10.1 inch IPS display and weighs less than 2 pounds even with it's all metal chassis. It will be powered by a Rockchip 3288 processor with 2GB of RAM and 16GB of eMMC flash memory. There will also be a more expensive version that will have 4GB of RAM and 16GB of SSD storage. It will have 802.11ac Wi-Fi and Bluetooth 4.0, and will be able to last for up to 10 hours on a full charge. Right now the Chrome OS is not optimized for touch screens yet, so it is a bit unusual that they added one to this notebook. Not only that, but it's pretty odd that they would add a touch screen to a budget system at all. Hopefully it works out great and the added feature really pays off. As far as what's under the hood, the Chromebit has pretty much the exact same stuff as the Chromebook Flip actually. It is a little bit bigger than a regular thumb drive and will have an HDMI port and a USB 2.0 port that it will be powered by. It will be able to connect to the Internet via 802.11ac Wi-Fi and it also has Bluetooth capabilities. Asus is not the only company that is coming out with new Chromebooks though. Haier and Hisense have both announced 11 inch Chromebooks that seem to have the same internals as the new Asus coming out this spring. The only major difference is that they will cost about $100 less than the Asus. Of course, it doesn't look like they will have a touch screen, but if the Asus touch screen doesn't go over well because of the operating system, then you might spend $100 dollars less and have something that is less troublesome. I guess we will find out soon enough when we can get our hands on them! Ultrawide Monitors Or Multiple Monitors: What's Best For Productivity?